The defending champions San Miguel Beermen and back-to-back Governors' Cup titleholders Barangay Ginebra San Miguel kick off the semifinal festivities of the 2017-18 PBA Philippine Cup later today. Meanwhile, the title-hungry Magnolia Hotshots and first-time semifinalists NLEX Road Warriors start their grueling best-of-seven series tomorrow. Each team had no problem eliminating their quarterfinal opponent—SMB and Magnolia didn't need their twice-to-beat advantage against TNT and GlobalPort, respectively, to advance, while Ginebra and NLEX swept Rain or Shine and Alaska. The playoff picture was set as early as Wednesday. Hours before the basketball war resumes, FHM did a little number-crunching to identify the biggest difference-makers (players, strengths, weaknesses) to come up with the most compelling storylines surrounding the penultimate round of the All-Filipino tournament. Can SMB make it a four straight All-Filipino championships? This is what it would look like if Anthony Davis joined the Golden State Warriors. No team has been successful at stopping the chemistry and talent of the Beermen in the last three editions of the Philippine Cup, especially having put the drama—Petronovela, anyone?—and injuries behind them. The only legitimate threat to The Kraken is Ginebra's Greg Slaughter, who isn't even a hundred percent (sprained ankle). As cliche as it sounds, the four-peat is really just the San Miguel dynasty's to lose. Can Puref- err, Magnolia end their four-year title drought? Having more name changes than championships won in the last few years is always a bad thing for a PBA franchise. After their 2013-14 Grand Slam, everything went downhill for the Hotshots—missed playoffs, Tim Cone and James Yap exit. It may have taken a while for Chito Victolero's system to be in full effect, but it's peaking at the right time. Their series against NLEX all boils down to how they can limit the opposing guards (particuarly Kiefer Ravena) and how Sangalang asserts himself inside. 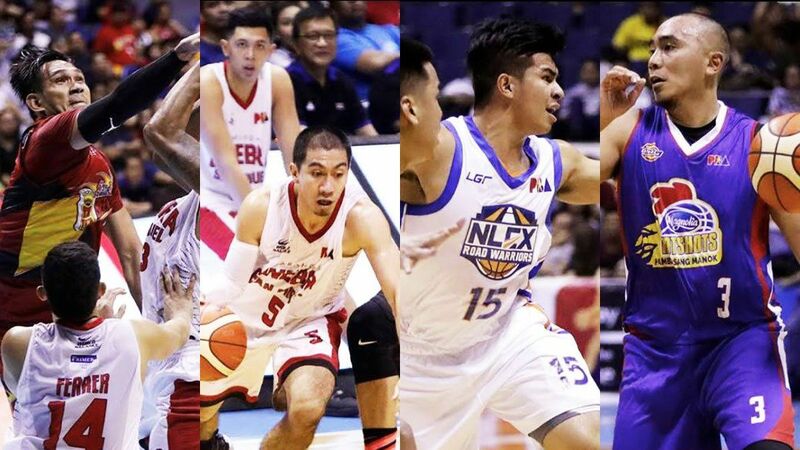 Can Ginebra get over the 'local' hump? The most popular ballclub in the country has nothing to prove in import-flavored conferences, partly thanks to Justin Brownlee. However, the Barangay just can't seem to translate their Governors' Cup success (back-to-back champs) to the All-Filipino tournament, despite having a loaded squad mentored by a coaching great. Ginebra's fortune rests on the dominance of their twin towers and— facing their sister team—everything they can get out of that signature never-say-die attitude. Can NLEX complete their Cinderella run? Name a group that has had a bigger turnaround. It's hard to imagine that Yeng Guiao and his boys were at the bottom of the standings only a year ago. The Road Warriors need a lot of things going for them to overcome Magnolia, being the dark horse of the semifinals. Expect Ravena to elevate his game to the next level as they make a deep run—same goes for Kevin Alas. If not for Fajardo and if NLEX indeed go all the way, we could be seeing the second rookie MVP since Benjie Paras in 1989.